Description: The Araripe Basin of Brazil is home to a fantastic array of exquisitely-detailed Early Cretaceous fossils, some of which have been preserved in three dimensions. 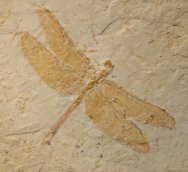 While the entire formation has until the last decade or so been termed the Santana Formation, David Martill has separated out the slightly older insect-bearing strata as the Nova Olinda Member of the Crato Formation. 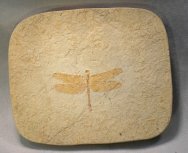 Quarrying operations for the purposes of obtaining paving stones exposes the remarkable insect fauna in much the same way that quarrying for lithographic limestone in Solnhofen has afforded a panoply of wonderfully-preserved Jurassic fossils in Germany. In addition to the many orders of insects, spiders, scorpions, decapod crustaceans, and many plants have been found. 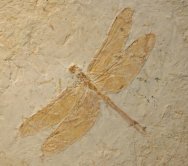 Interestingly, to date no pterosaurs or terrestrial vertebrates have been found, in stark contrast to the overlying Santana Formation deposits. 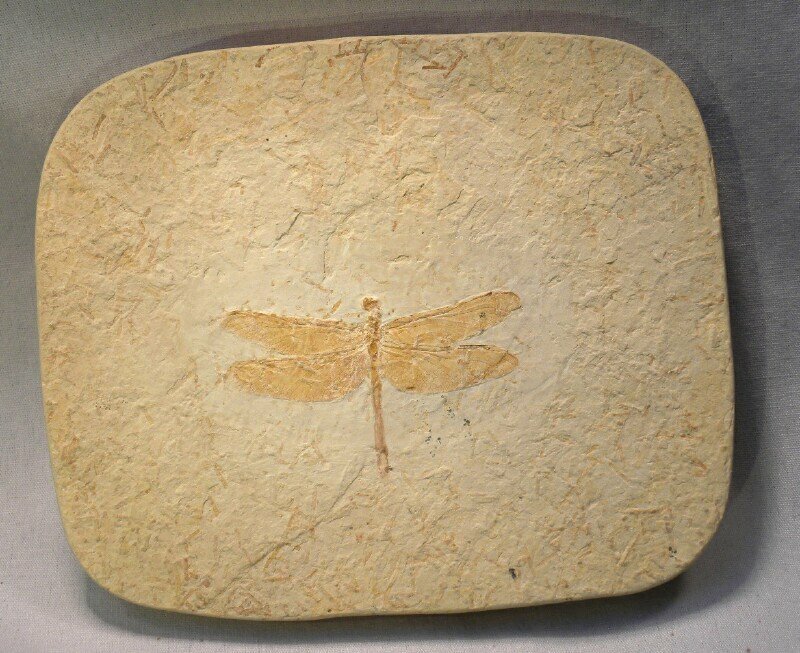 This specimen is a member of the Odonata (dragonflies and damselflies). 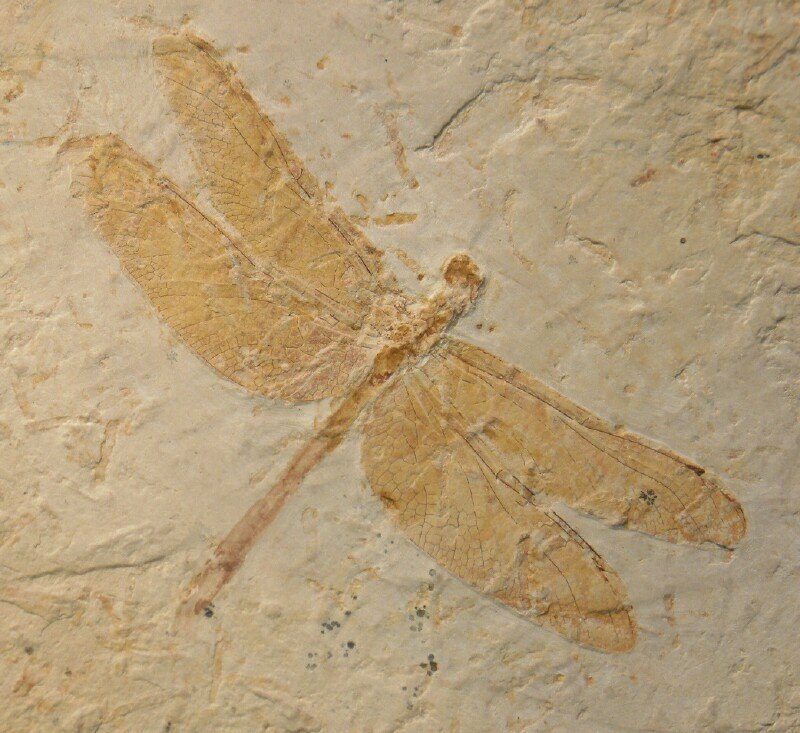 The Odonata are well-represented in the fossil record, with some 700 species known. 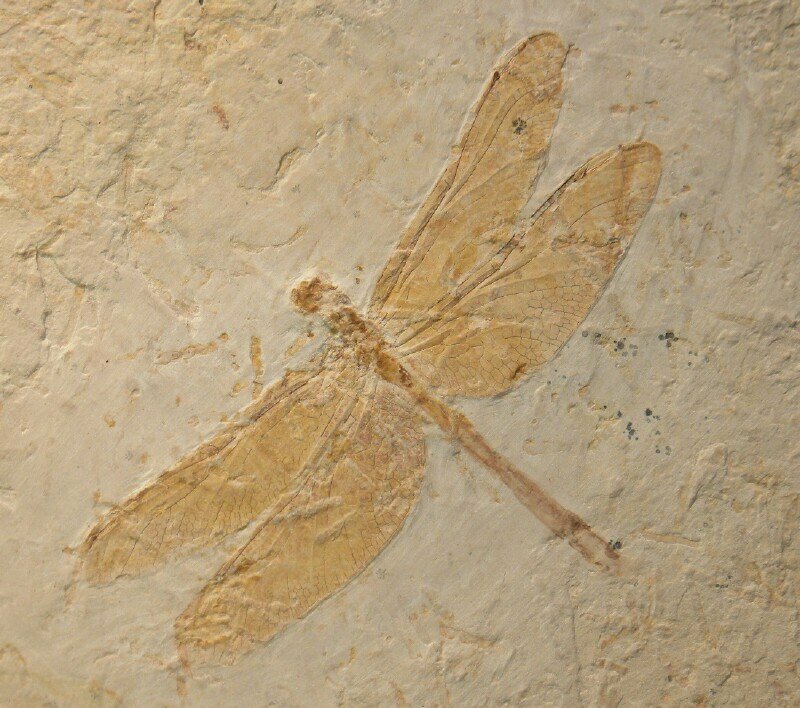 They have their origin in the proto-Odonates from the Carboniferous. 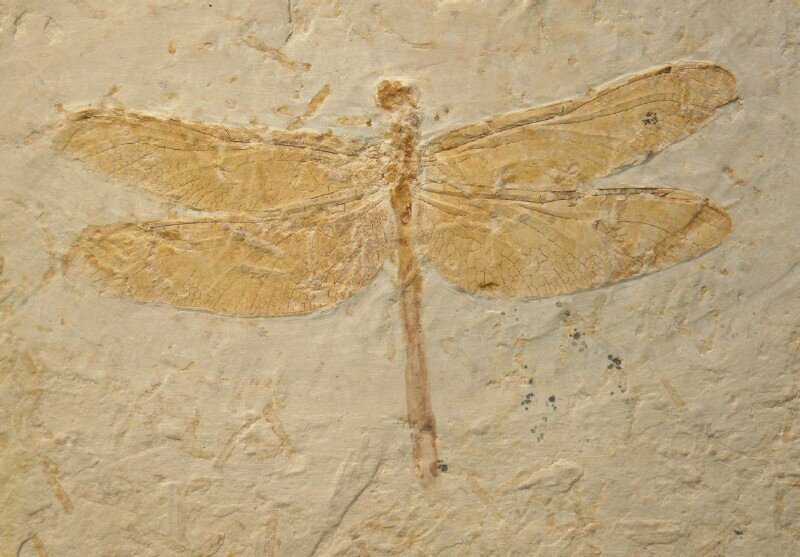 Meganeuropsis from the Permian of North America, with a 75 cm wingspan, was the largest insect on record. Note the incredible detail, including the delicate venation of the wings.